A program is a sequence of instructions. There are two basic aspects of computer programming: data and instructions . To work with data, you need to understand variables and data types; to work with instructions, you need to understand control structures and statements. 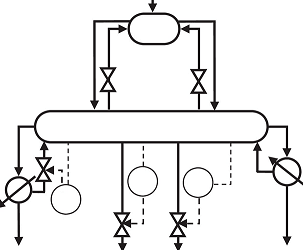 A control structure is a syntactic form in a language to express flow of control. A sequence of statements is executed depending on whether or not the condition it true or false . This means the program chooses between two or more alternative paths. Hence it is the basic decision-making process in computer programming; flow control determines how a computer will respond when given certain conditions and parameters. Normally, "flow of control," the computer executes the instructions in the sequence in which they appear, one by one. This condition is called sequence accomplishment . In computer programming, the statement that will be accomplished next is not necessarily located in the next line. This scenario is known as transfer of program control. From the following lessons you can understand the control structures and statements in Java language.